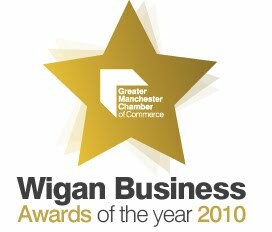 Greater Manchester Chamber is delighted to announce that nominations are now open for the Wigan Business Awards 2010. The highlight in the local calendar, the awards celebrate business excellence across the borough, and entries are welcome from member and non-member firms in all categories. Commenting on the launch of this year's awards, Joanne Fletcher, Director of Business & Commercial Banking for NatWest in Wigan the headline sponsors, said: "We are very pleased to once again sponsor the Wigan Business Awards. Despite the challenging economic conditions over the last few months there are still many businesses throughout the borough which continue to perform well and these firms deserve recognition for their achievements. The awards are a great platform to highlight the good things taking place across the borough and to demonstrate the strength of Wigan's business community." Miranda Barker Wigan President of Greater Manchester Chamber, added: "We urge businesses from across the Borough to get involved and benefit from the publicity and kudos associated with the Awards. 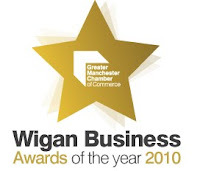 Wigan Borough businesses need to shout about their successes and the Chamber is delighted to help them do that. The closing date for entries is Thursday 12th August with the Awards themselves being held at a black tie gala dinner in November. Short listed entrants will be invited to meet the panel of judges including John Winnard of William Santus Limited, John Hughes of Hughes Brothers, Colin Weaver of The Best of Wigan and Richard Waterfield of Waterfield's Bakers. Shortlisted firms will also gain significant publicity via the event programme and local press in the run up to the event. The range of categories this year ensure that there is something for everyone, with awards as follows: Business of the Year, Family Business of the Year, Small or Medium Enterprise of the Year, Business Continuity Award, Entrepreneur of the Year, Employer Supporting Apprentices Award, Environmental Award, Exporter of the Year Award, Commitment to the Community Award, Continuing Professional Development Award for those firms who demonstrate a commitment to training staff and the ‘We're Backing Wigan' Award for businesses who have secured publicity for themselves and helped to raise the profile of the Wigan borough.